This year we’re proud to be creating approximately 30 career opportunities for people in the construction industry. Our Group has always been invested in developing our staff and encouraging the recruitment of apprentices across our sites, but we are also setting precedence in the way of offering openings in roles outside ‘bricks and mortar’. Currently, we have a range of students, mature students and school leavers in roles from health and safety, business development and marketing to site management, quantity surveying and procurement. This is in addition to more than 20 construction apprentices at work on our Construction sites alone, from Porthmadog over to Warrington. Among these trainees we have Assistant Quantity Surveyor Kim Curtis, 42, from Flint, who joined our Construction team in August 2017 to further her career. Out on site we have Trainee Site Manager, Shane Crawford, 20, from Wrexham, who has just started working in our Homes Division and is studying for his NVQ Level 4 qualification in construction site supervision at Coleg Cambria from September. Our Group is continuing to expand and grow, which allows us to support these people, and many others in the years to come, into their careers in Construction. 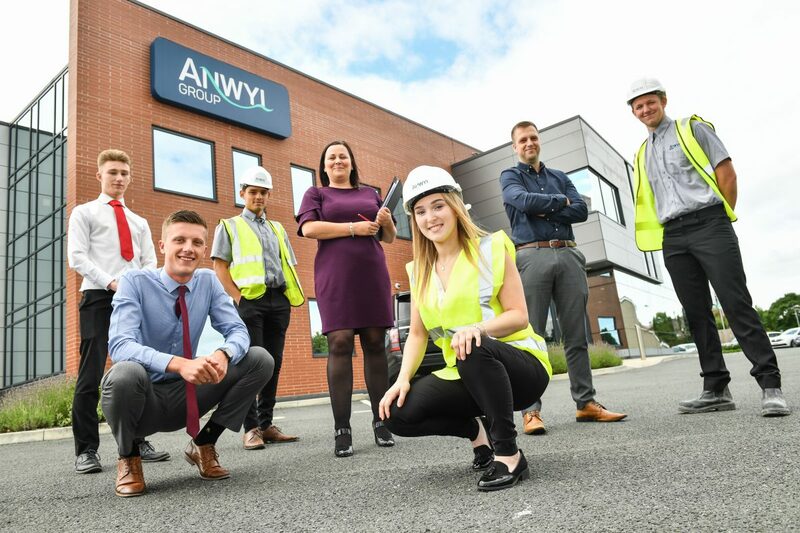 We’re looking forward to seeing our current trainees develop their skills with us, and hope to see many more employees build their careers and meet their aspirations at the Anwyl Group. For more information on careers in construction, routes into the industry and some handy hints, tips and ‘how to’ guides, you can head over to the CITB’s Go Construct Website.